Clarinetist Jean Kopperud pushes musical boundaries with a full schedule of tours, recordings, and commissions. UB Clarinetist Jean Kopperud has just finished a lengthy recording session for her next CD release, Rated X II, an album featuring recent works she commissioned from some of the top composers in the new music scene. Jean, a Juilliard School graduate whose performances have been called “absolutely smashing” by the The New York Post, has already started premiering the commissions in venues around the country in California, Georgia, Massachusetts, Pennsylvania, and New York. As a relentless explorer of the new and unknown, Jean chose five of the most innovative composers alive today to commission for the project. The album’s five new works are: Louis Karchin’s Evocations, John Aylward’s Twin Suspension, Mathew Rosenblum’s Throat, Jeff Stadelman’s wills & wonts, and Yiorgos Vassilandonakis' X-asti. Jean explains some of her motivations for seeking out and commissioning music that breaks new ground, “I keep trying to get wilder in this conservative time. As a child of the ‘60s and ‘70s, I was influenced by a lot of the experimental and theatrical music going on at the time – I like to keep that sense of boundary-pushing alive.” Famed UB percussionist Tom Kolor joins Jean on the album, which will be released next Fall on Albany Records. Several other projects are on Jean’s plate at the moment as well. 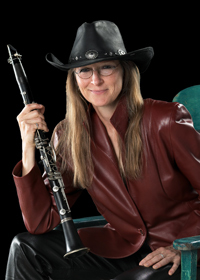 She frequently performs and tours with The New York New Music Ensemble, an ensemble dedicated to finding new audiences for contemporary music that has commissioned over 120 new works from living composers and released over 20 recordings, and has been described by The New York Times as, "admirable for continuing to champion the more rigorous end of the contemporary repertory." Since 1976, they have traveled to Europe, Asia, and South America to perform, teach and record, and throughout their existence have branched out into theatre music, adventuresome electronic music, and readily embraced interactive new technologies. The New York New Music Ensemble has a plethora of exciting concert premieres coming up in April and May at the University of Pennsylvania, the College of Charleston, and Merkin Hall in New York City, which will include world premieres of Eric Chasalow’s On that Swirl of Ending Dust and Zhou Long’s Cloud Earth, as well as some slightly older favorites like Gérard Grisey’s Vortex Temporum and Franco Donatoni’s Ave (visit NYNME’s website for the complete Spring schedule). 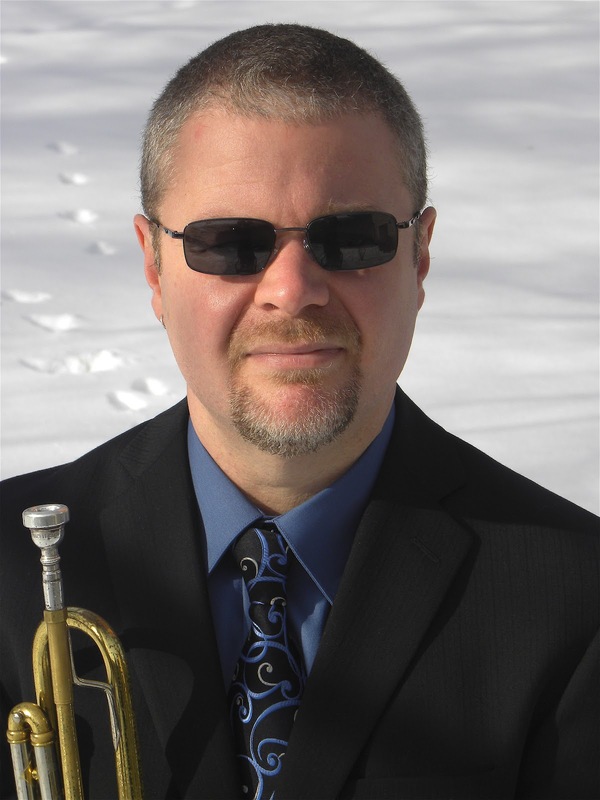 The New York New Music Ensemble is also a veteran of the June in Buffalo Festival and will be returning this year to perform works by participating students and faculty composers: Robert Beaser, Jacob Druckman, Fred Lerdahl, Stephen Stucky, and David Felder. Details about this year’s June in Buffalo festival can be found at the Robert and Carol Morris Center for 21st Century Music’s website. NYNME has developed a reputation through the years for working closely with young composers at the festival and being willing to take on daring and experimental projects. After the festival, the ensemble will begin preparing for their tour to Cambodia for a 70th birthday celebration of the music of Grawemeyer Award-winning Cambodian composer Chinary Ung. University at Buffalo Professor and Trumpeter Jon Nelson has been awarded a prestigious Humanities Fellowship this year for his project, “Switching on the Lights: The Early 20th Century Musical Avant-Garde Goes Electric,” a deeply scholastic and hermeneutic compositional undertaking whereby Jon interprets, orchestrates, and adapts a diverse collection of works by avant-garde composers from the early 20th century and arranges them for Buffalo’s favorite style-scaping, electroacoustic ensemble, The Genkin Philharmonic. Jon, a seasoned musical veteran with performance and improvisational skills in nearly every genre of music, is currently pouring through the scores of Bartok, Stravinsky, Ravel, Schoenberg, Debussy, Ives, Satie, and Webern, and brewing up creative interpretations for the 10-piece group of musicians trained in everything from Classical, Rock, and Jazz, to the most demanding and complex contemporary music. One of his recent endeavors with the project is the arrangement of several of Bartok’s Mikrokosmos, piano pieces that exhibit a strong influence from Eastern European Folk Music. The Genkin arrangement will showcase this Folk aspect of the music by temporarily turning the ensemble into an early 1900s Hungarian wedding band – Jon often talks about how during the 20th century Folk Music was brought to academia by scholars and musicians and absorbed into academic musical styles. His arrangements return these Folk influences to their origins in what was once called 'lowbrow' music, by adding the energy and dynamism of a large ensemble and incorporating electric guitars and basses, synthesizers, and a dizzying array of miscellaneous electronic and percussion equipment. The UB Humanities Fellowship supporting this project is particularly special this year, as it is one of only two inaugural fellowships promoted and co-sponsored by the Office of the Vice President for Research. The additional support will help Jon and the Genkin keep up a lively schedule of recording and performing into next Fall. The Genkin’s next performance will be free to the public on Monday, February 27th at 4:00 p.m. in Baird Recital Hall and will be the premiere for many of these recent arrangements. Shortly after, the Genkin will kick off a series of 2012 concerts by performing at Mount Holyoke College in South Hadley, Massachusetts, on March 2nd. Much of Jon and the Genkin's recent work will bear additional fruit this summer, when the record label 8bells will release an album of the Genkin Philharmonic’s recordings of Jon’s arrangements composed with the support of the Humanities Fellowship. The June in Buffalo 2012 Festival is proud to have the Genkin taking part this year as one of the resident ensembles, and is excited to offer student and faculty composers the opportunity to have their work performed and recorded by the Genkin. The festival, which begins June 4th and lasts until June 10th, will also include performances and workshops by the Buffalo Philharmonic Orchestra, SIGNAL, the New York New Music Ensemble, Ensemble Interface, Slee Sinfonietta, and the UB Percussion Ensemble. 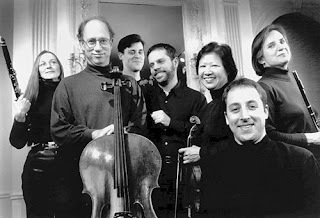 One of the highlights of the festival will be the Genkin’s faculty concert at the Birchfield Penney on Friday, June 8th (details of the concert to come on the June in Buffalo 2012 website). In addition to his arrangements of early 20th century works, Jon Nelson has garnered substantial fame through his many arrangements of pieces by Frank Zappa. Below is a lively performance of the Genkin Philharmonic performing Jon's arrangement of Zappa's Eat That Question/Echidna's Arf at the legendary music venue Nietzsche's, in Buffalo, NY. Harvard Professor Robert Levin, a pianist and musicologist famous for his contributions to Mozart scholarship, comes to the University at Buffalo next week to lecture on his experiences as a concerto soloist who has performed with orchestras in Berlin, Los Angeles, Vienna, Atlanta, Baltimore, Boston, Chicago, Melbourne, Montreal, St. Louis, Cleveland and Freiburg. Throughout his career he has developed a reputation for improvising cadenzas and embellishments of Mozart and Beethoven afresh at each concert. 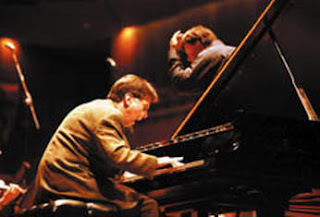 Last time Robert Levin visited the music department at UB he lectured to a packed audience in Baird Hall, and artfully wove together lessons in music history with examples he performed on the piano. Professor Levin walked the audience through the ins and outs of improvising in the style of Mozart in clear language that was equally appealing to musicians, academics, guests, and laymen alike. Join us next Wednesday, February 8th, at 3:00 p.m., in Baird Hall, to listen to this brilliant musician lecture and perform. This time he will be joined by famous violist Kim Kashkashian for a fresh and dynamic tapestry of thoughtful lecture and Classical music performance.